Some SiteSpect clients are located in the European Union (EU) and other regions, and / or do business with clients within the EU, or elsewhere. In these cases, the company in which SiteSpect is contracted is required to comply with all GDPR obligations. SiteSpect is committed to meeting all of the EU GDPR requirements. The Federal Trade Commission has jurisdiction over SiteSpect’s compliance with the Privacy Shield and SiteSpect is subject to the regulatory enforcement powers of the U.S. Federal Trade Commission. SiteSpect has designated its Data Privacy Officer to oversee the control of personal data and coordinate SiteSpect’s compliance with the GDPR and Privacy Shield obligations. The contact information for the Data Privacy Officer appears near the end of this document. In order to fulfill SiteSpect’s contractual obligation to its clients, it must collect some specific information. In addition, SiteSpect is contractually obligated to maintain compliance with the Payment Card Industry Data Security Standard (PCI-DSS) which requires preservation of audit logs for at least one year. SiteSpect will not retain data longer than is necessary to fulfill the purposes for which it was collected or as required by applicable laws or regulations. While SiteSpect believes that aggregated data it collects does not constitute personally identifiable information (PII) as defined by the GDPR and Privacy Shield, it secures this data as if the data is PII. The data is subject to strict access controls and when processed and transmitted by SiteSpect, the data is encrypted. The user’s browser agent-string is supplied by the user’s browser and it tells the website information about the browser and operating system. This allows the website to customize content for the capabilities of a particular device. On average, only one person in about 1,500 will have the same agent-string as you. On its own, that isn’t enough to reveal a person’s identity, but in combination with other details like geolocation to a particular ZIP code the agent-string might be used to identify an individual. Here is an example of an agent-string that was sent by a user using the FireFox browser, “Mozilla/5.0 (Windows NT 6.1; Win64; x64; rv:47.0) Gecko/20100101 Firefox/47.0”. An IP address is a numerical label which is used to identify one or more devices on the Internet. While SiteSpect stores the entire IP address in its audit logs, when reported to SiteSpect clients only the first two octets of the IP address are displayed. By only providing a portion of the IP address to the clients, the clients ability to relate the IP address to a specific individual is limited, and location data will be limited to the state- or possibly county-level of detail. According to an EU court decision, an IP address is only personal information when it is accompanied by other data that when used together could reveal an individual’s identity. The SiteSpect ID is a anonymous, randomize identifier that is generated for each user device and stored as a cookie. Commonly the cookie is named “SSID” and set to persist within the user’s browser. This is used to associate multiple visits to a website by the same user, to ensure consistency of the user experience. By setting this cookie value to “0” (numeric zero), an end user effective opts-out of any further data collection by the SiteSpect business service. In certain situations, we may be required to disclose personal data in response to lawful requests by public authorities, including to meet national security or law enforcement requirements. We may also disclose your Personal Information to any regulatory or law enforcement agency if we believe that such action is necessary to protect the rights, property or personal safety of SiteSpect, its customers or any third party. 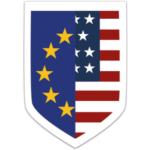 SiteSpect complies with the Privacy Shield Principles for all onward transfers of personal data from the EU and Switzerland to the United States, including the onward transfer liability provisions. In cases of onward transfer pursuant to the Privacy Shield Principles, SiteSpect is potentially liable. A subset of the data collected may be shared with SiteSpect’s customer’s in order to provide its service to test variations in the digital customer experience on its client’s websites. All data transmitted by SiteSpect from the EU to the US and vice versa is encrypted using TLS. Since SiteSpect does not control the user interface of the webpages that its clients’ users are interacting with, it does not display any consent notices. Instead, it is the client’s websites that have the obligation to obtain user consents. You still retain the right to contact SiteSpect directly. To request a copy of the data that we have about you or to confirm that SiteSpect systems are clear of any PII about you, please include the IP address used, since SiteSpect does not store your name or other identifying information. Evidence that you are in possession or control of the device that uses the IP address should be included in the inquiry. In compliance with the Privacy Shield Principles, SiteSpect commits to resolve complaints about your privacy and our collection or use of your personal information transferred to the United States pursuant to Privacy Shield. European Union and Swiss individuals with Privacy Shield inquiries or complaints should first contact SiteSpect at dpo@sitespect.com or through the postal address listed below. SiteSpect has further committed to refer unresolved privacy complaints under the Privacy Shield Principles to an independent dispute resolution mechanism, the BBB EU PRIVACY SHIELD, operated by the Council of Better Business Bureaus. If you do not receive timely acknowledgment of your complaint, or if your complaint is not satisfactorily addressed, please visit www.bbb.org/EU-privacy-shield/for-eu-consumers for more information and to file a complaint. This service is provided free of charge to you. The same points of contact may be used to make any inquiries about SiteSpect’s compliance with the EU GDPR and Privacy Shield or to initiate any privacy complaints.